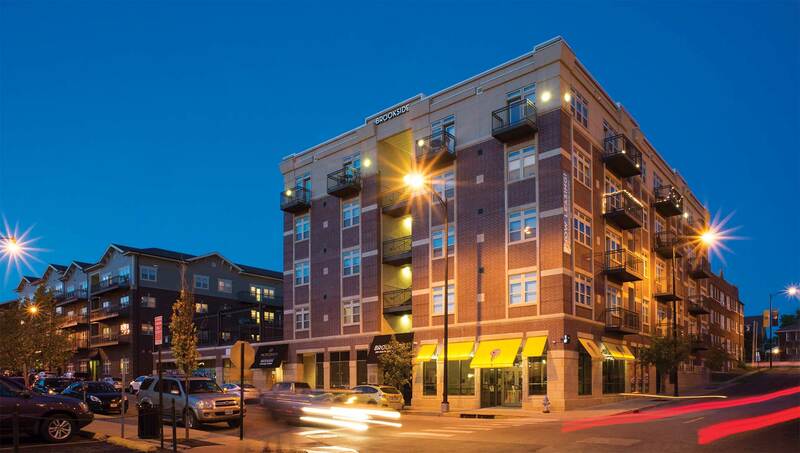 This five story wood and steel framed pedestal building contains 27 units. It features commercial space on the ground level, a rooftop pool on the second level, and elevator, and exterior breezeways. It was completed in 2012. Exterior finish materials are masonry and EIFS.